The bohemian barrio of Gracia holds a unique identity within Barcelona. The district bonds together a youthful and laid-back trendiness with traditional Catalan culture. 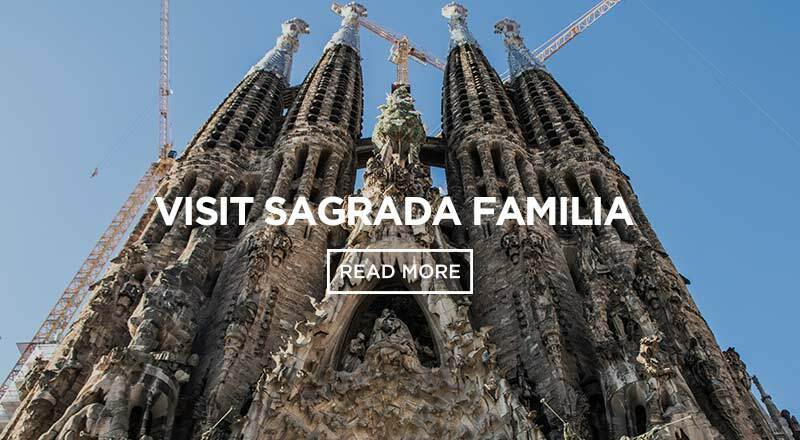 Gracia is the place to visit if you’re looking to explore a part of the city that’s less commercial and much less crowded. Gracia has technically only been a part of Barcelona for around 150 years, and its residents still hold tight to their traditional roots. For centuries Gracia was an independent municipality (self-governed town). The sudden population growth of Barcelona between 1800-1850 caused the city to expand quite rapidly. The Eixample district was constructed, and the gap between Graica and Barcelona slowly began to close. Eixample continued growing, and Gracia was officially annexed in 1879. This is why the architecture looks less medieval and has a more Mediterranean style. Walking through the narrow streets of the Gracia neighborhood in Barcelona, it is noticeable how the people are much more relaxed. They seem to have a different approach to life. They sip their coffee and sangria with much less haste. It is a refreshing change from the hustle of other parts of the city. Gracia’s population is diverse, but is mainly comprised of older Catalan residents. It has also been attracting hip professionals and artists into it’s midst. 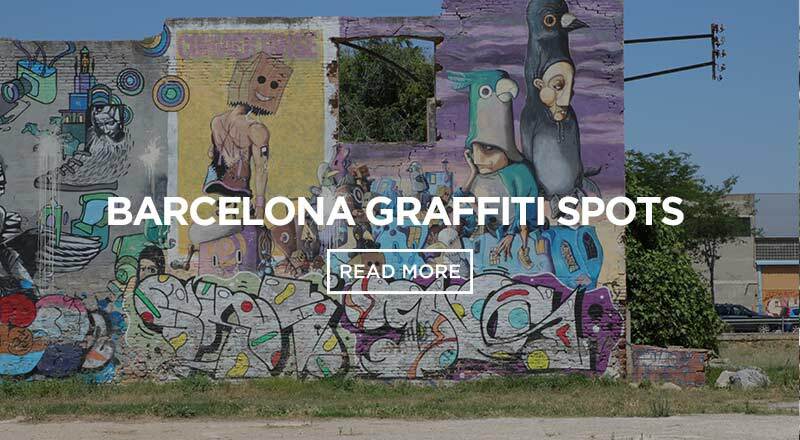 With a growing range of cool bars, restaurants, quaint funky shops and art studios, there is good reason for young people to migrate out of the downtown and into Gracia. 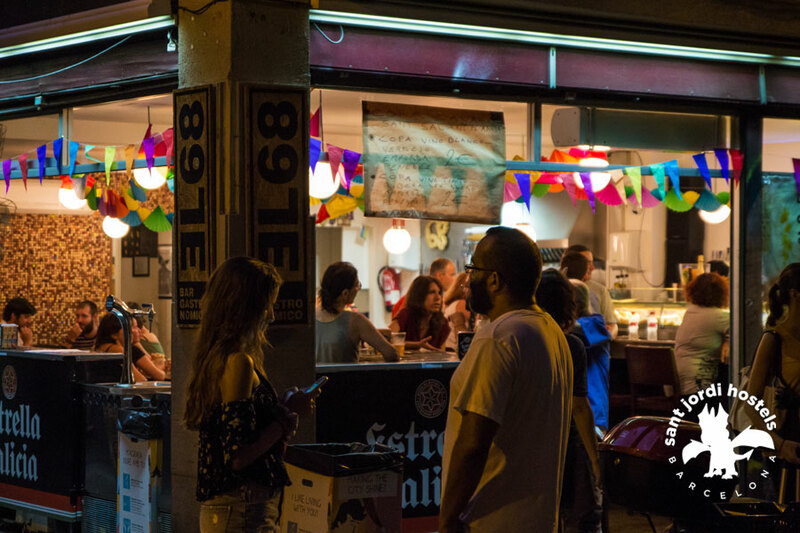 Gracia has a more casual approach to nightlife, especially compared to places like Barceloneta (and Port Olympica specifically). Rather then pushing your way through crowded super clubs full of tourists, evenings revolve around food, drinks and socializing at cute restaurants and bars. As it’s less touristy, you’ll find some places only have menus in Catalan. But choosing something at random is more exciting anyway, right? You’re in Spain, be spontaneous. There isn´ much of a nightclub scene, but there are lots of trendy bars, great restaurants and cool hangouts. After the bars close people tend to move onto the plazas where they continue the party with 1euro street beers until the early hours. 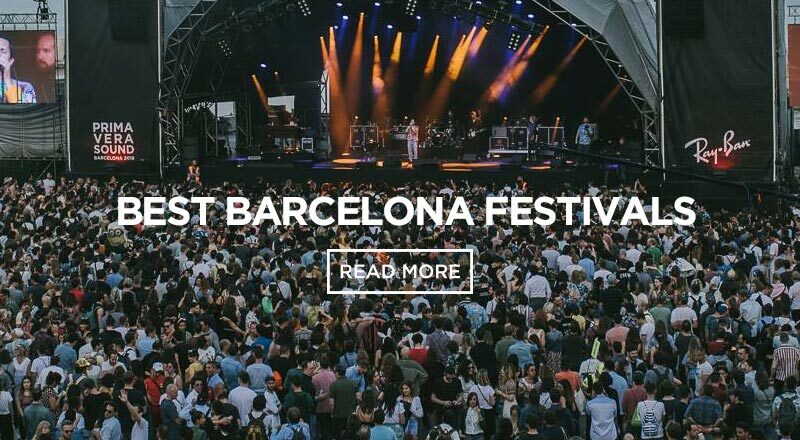 There is one week per year when Gracia certainly shows the rest of Barcelona how to party – it’s known as Festa Major de Gracia! This crazy street festival is held mid-August, and is definitely worth attending. The streets are closed off, the buildings are decorated and stages are assembled in the main squares. Nights are passed by dancing to live music, drinking cheap beers and sipping on delicious mojitos. Roaming through the skinny streets and the sea of people, you’ll find that the atmosphere here is merry and awash with positive vibes. Everyone is happy and welcoming. 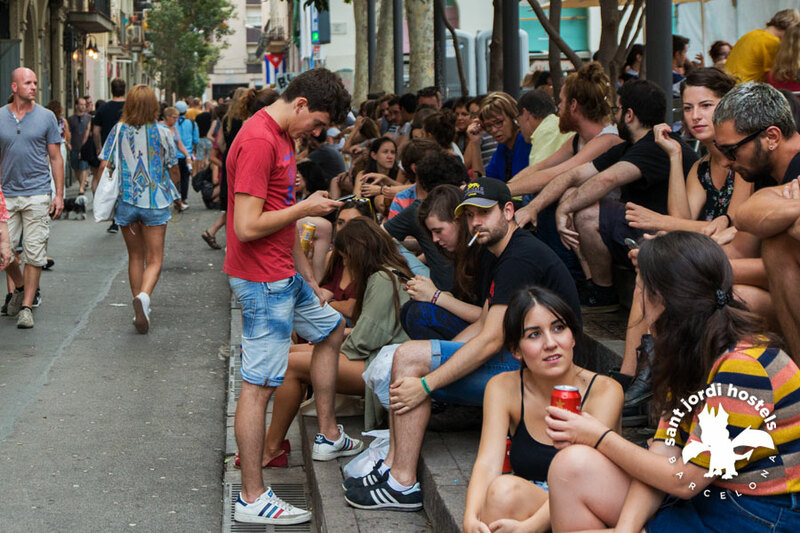 When the weekend rolls around the whole of Barcelona begins to descend on Gracia. It is clear why it is one of the most loved festivals in the city. Muchas gracias, Gracia! You’re not going to find better views of the city and the Mediterranean then in Gracia. 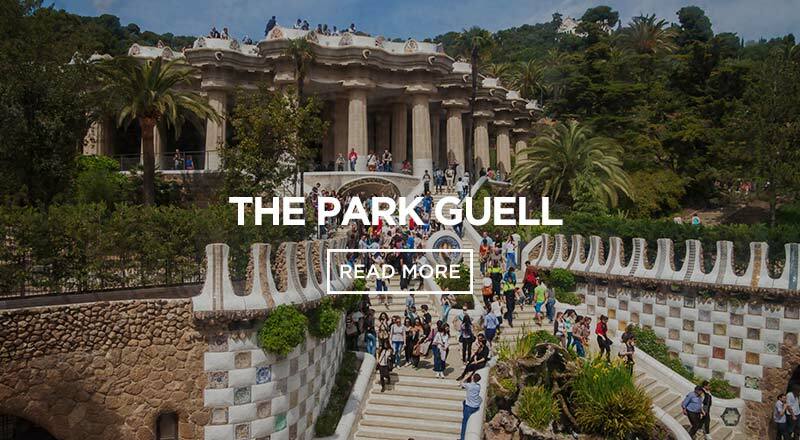 It is where you’ll find the famous Gaudi designed Park Guell – and if you travel a little higher up the mountain you’ll reach The Bunkers. 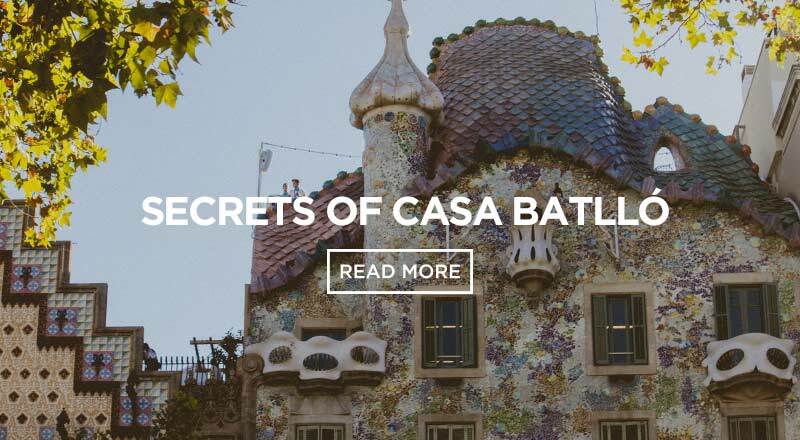 Not technically a part of the Gracia, the bunkers provide a 360-degree view of Barcelona and it’s bordering towns. The sunset from the bunkers is pretty spectacular, especially with good company and some cold drinks. It’s a perfect way to finish a visit to this incredible city. 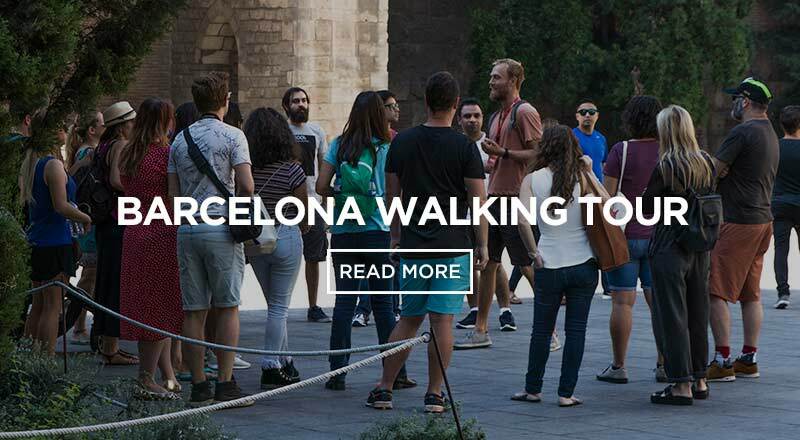 If you are looking for inexpensive accommodation in the Gracia district of Barcelona, Sant Jordi Hostels is your best choice. The Gracia hostel by Sant Jordi Hostels Barcelona is a boutique design hostel with modern facilities, a great location, and comfortable shared dorm rooms.Find out more about Sant Jordi Hostels Gracia.